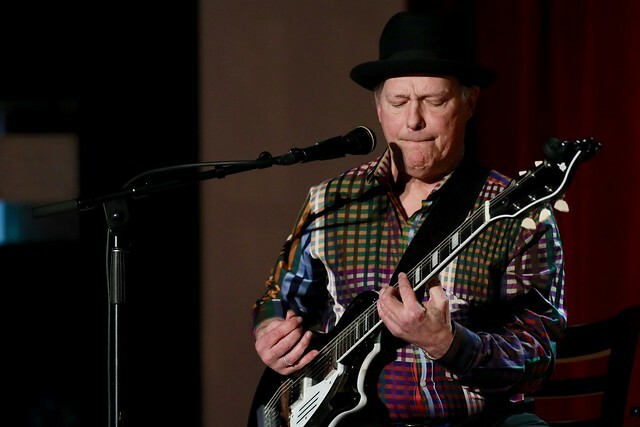 Posted on 01/30/2019 by Parklifer	in Live Review and tagged City Winery, Glenn Cook, New York City, post-punk, Richard Lloyd, Television. Richard Lloyd has a long and storied career, and he is perhaps still best known for his run as a guitarist for Television. Richard has been touring solo for a while now, and he dropped by City Winery DC recently to play some songs. Glenn Cook dropped by to take some pictures of him. Posted on 08/25/2016 by Mickey McCarter	in Live Review and tagged Chris Stamey, New York City, post-punk, proto-punk, punk rock, Television, Tom Verlaine. Tom Verlaine. Richard Lloyd. Richard Hell. Billy Ficca. If those names catch your eye, you might recognize the elder statesmen of punk. The proto-punk band Television ignited a scene in New York City at CBGBs, ground zero for a decade of unfiltered yet lustrous music that turned music on its head. Formed in 1973, Television only ever released three albums and wasn’t active in the 1980s at all. But Tom and Billy now carry on the band still with bassist Fred Smith (truly an original as he’s been there since 1975, no?) and guitarist Jimmy Rip (a collaborator of Tom’s dating back to 1981). Television is coming to perform at the 9:30 Club on Tuesday, Sept. 6 in a show that connoisseurs of excellent music cannot deny. Marquee Moon, released by Television as the band’s debut album in 1977, has been hailed as a peerless triumph over the past 40 years. VH1 ranked it in its list of the 100 Greatest Albums of Rock and Roll. Rolling Stone placed it at #128 on the 500 Greatest Albums of All Time. Uncut magazine called it #2 of 100 Greatest Debut Records. Pitchfork said it’s #3 in the Best Albums of the 1970s. North Carolina singer-songwriter Chris Stamey opens for Television. Tickets are available online.